Need more seating for your 4 seat RZR XP1000 or Turbo? 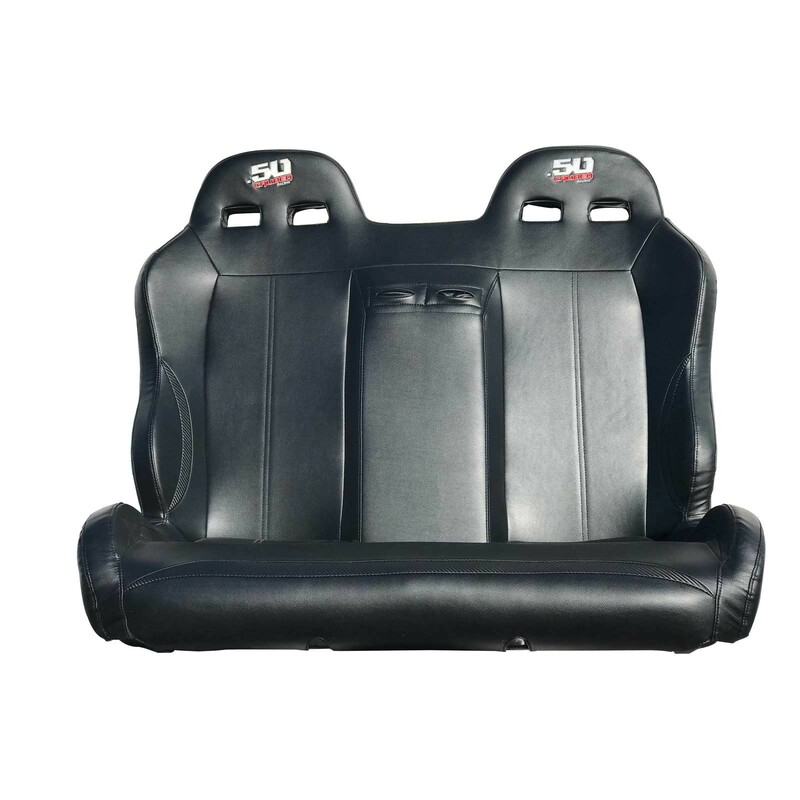 Give your passengers the comfort and stability of high bolster bucket seats plus add a secure middle seated position for a smaller 5th passenger! Designed to re-use original seat bases and keep the quick release feature. Upholstered in black vinyl with awesome carbon fiber look inserts and an embroidered logo. 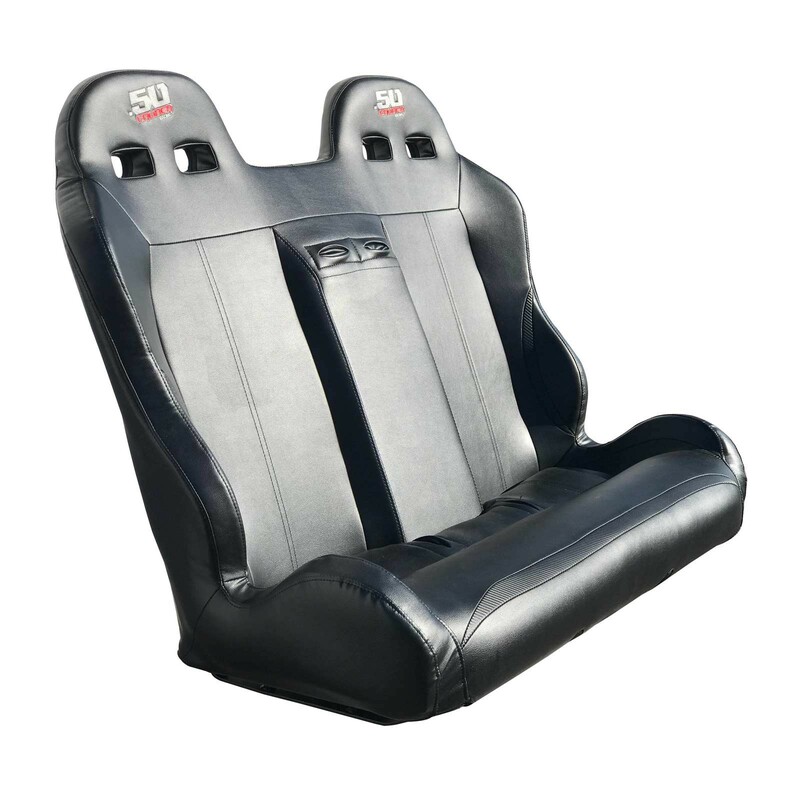 Need more seating for your 4 seat RZR XP1000 or Turbo? Give your passengers the comfort and stability of high bolster bucket seats plus add a secure middle seated position for a smaller 5th passenger! Offers more room and less cramped space than just adding a bump seat. 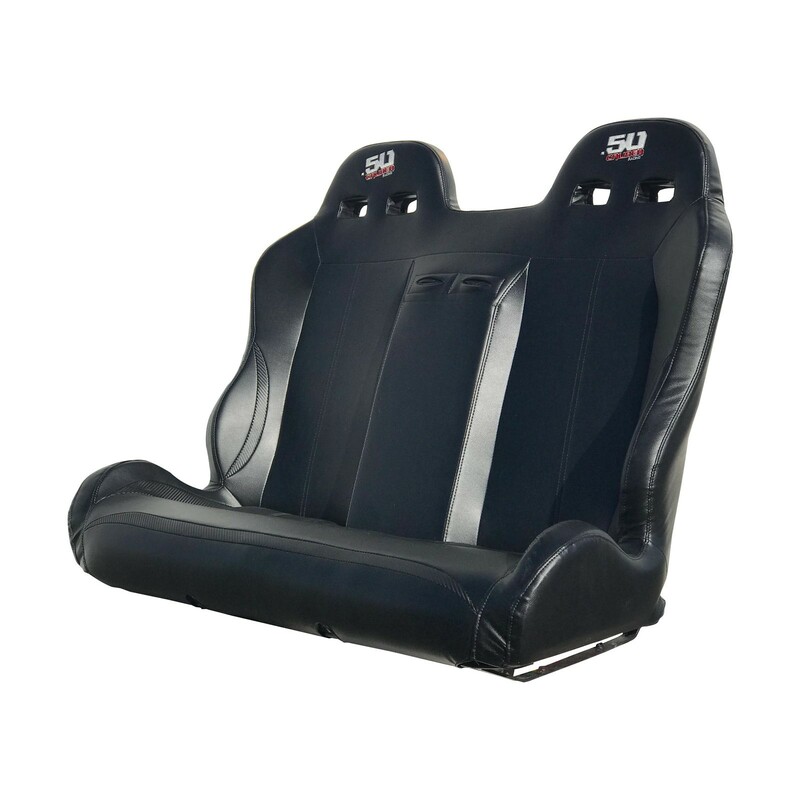 Our seats are constructed from a very sturdy tubular metal frame with suspension webbing, and wrapped with high density foam padding for maximum stability. Pass through holes for 4 point harness. Designed to re-use original seat bases and keep the quick release feature. Upholstered in black vinyl with awesome carbon fiber look inserts and an embroidered logo. * Will fit rear seat positions only on 4 seater models only. Must re-use OEM seat bases. Harnesses not included. 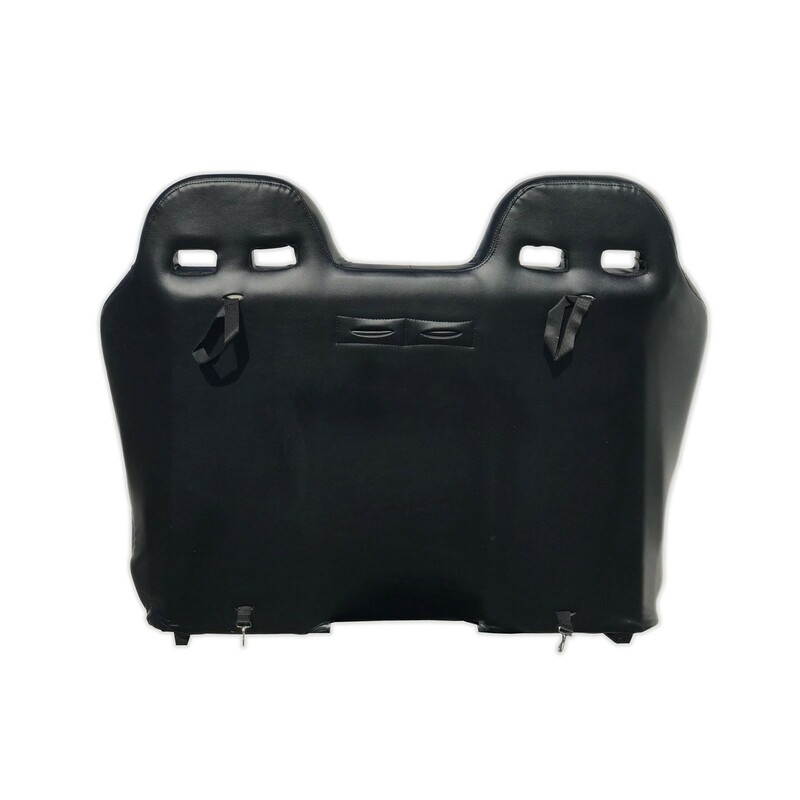 We also have a matching front bucket seats available, Click Here!